Furniture tops of all sorts from your dining room table to your dresser. It is even being used on benches and more so let your imagine sore. Outdoor projects have started to see the long-term value of using nature’s hardest stones in everything from stepping stones to fire pits. 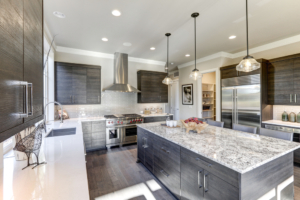 Accessories have increased the use of previous stones to create that WOW factor in serving pieces, cutting boards, towel holders and even lamps to name a few. 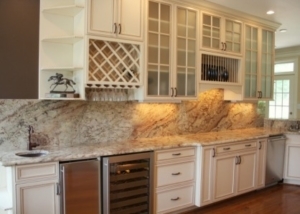 The use of granite, marble and other previous stones continue to expand and add value to your home. What project can we help you with? What will be popular in 2019? There has been a lot of speculation as to what will dominate 2019 with the country and industrial look that lead 2018. 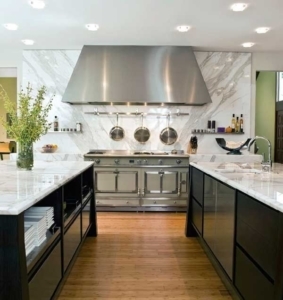 Granite, Marble and Quartz are still key elements and you can mix and match them based on your personal preference. 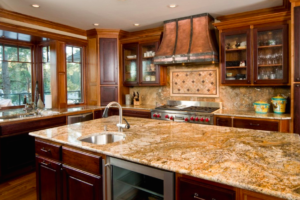 We are likely to see more Granite, Marble, and Quartz throughout our homes this year. Don’t worry, these are timeless investments. 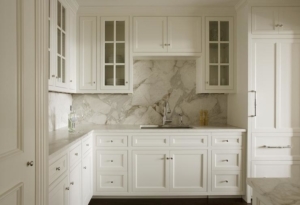 The tile backsplash may be replaced with single slab pieces for a more dramatic look and ease in cleaning. 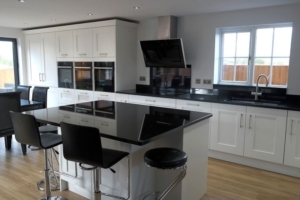 Islands in the kitchen will remain a key feature. Their utility insures this trend is here to stay. The waterfall workspace seen on TV and in magazines should only increase in popularity. 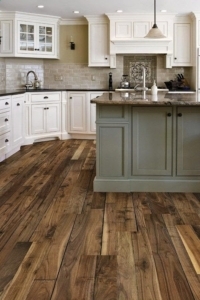 It is such a stunning element in your kitchen. Darker colors will make a comeback in 2019 with the addition of brass or copper. Think rich navy, forest green, and maybe even some black! Nature is coming indoors with marble or natural wood table tops and the taupe/gray tones of stone and greens of nature gaining in popularity. Open shelving has been a growing trend, which should continue. Our Smart home technology will certainly increase incorporating our kitchens and other areas of our homes. We look toward 2019 with excitement and stand ready to explore your 2019 ideas! If you have ever had your house staged for sale, you are in awe of how little they spent for such spectacular results. Most of the time, it looks like a completely different house. Well why wait? Start your new year with a home that is the envy of your friends but what is the secret? Get rid of the Clutter. Less is more in making your space look inviting. Light and bright makes your space look larger and more welcoming. Paint with a light neutral color such as a light gray and by using the same color in multiple rooms you get that seamless look that says wow. Also, increase the wattage in your lamps and fixtures and add additional lighting as well to get the warm embracing feeling to make your space look great. Accessories with items that not only look great but say welcome such as candles, plants (this can come from your yard), throws and pillows. 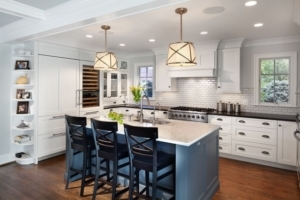 Nothing says high-end and makes your house look great like redoing your kitchen and baths. 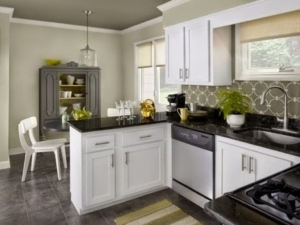 By painting your existing cabinets and adding new hardware you can achieve the same look for less. 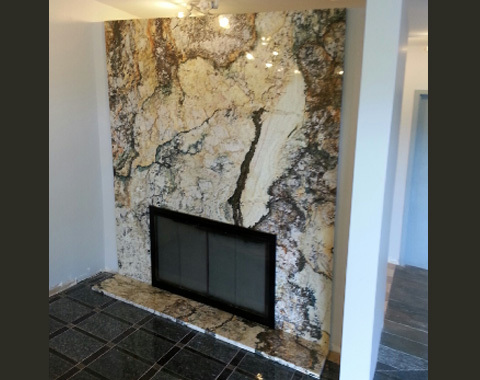 What is the secret to staging that they never pinch pennies on: GRANITE and MARBLE. This truly separates your home from the rest. It says classy and luxurious like nothing else can. Even though you watched every penning in your transformation, granite and marble says you didn’t skimp but did it right! May your house in 2019 be the home you want to come home to! This is the coziest time of the year between the hot-cocoa, festive films, and nights covered in blankets by the fireplace. 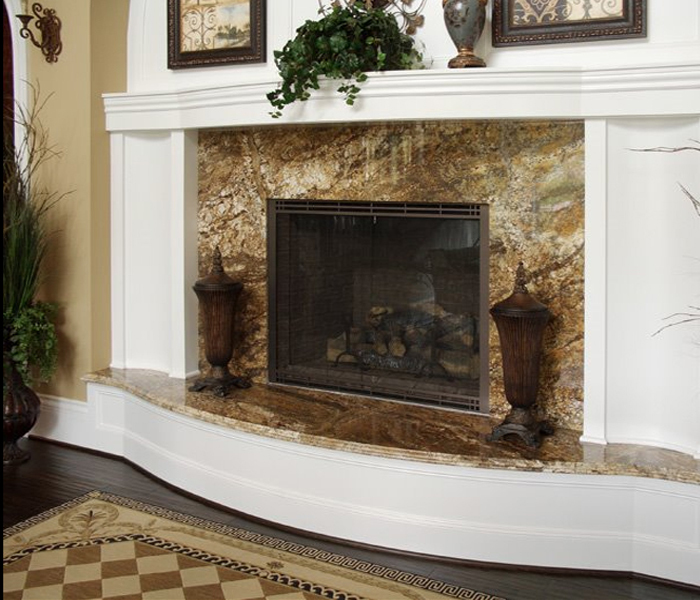 With that in mind, here are a few of the fireplaces that will make your home feel warm, stylish, and unique. In the spirit of Halloween, we’re highlighting stones with an orange and black tone! Despite he Halloween comparison, these stones are very versatile, great for all spaces, and some even have a little sparkle to them! Would you dare to go black and bold, or do you prefer the warm orange hue? 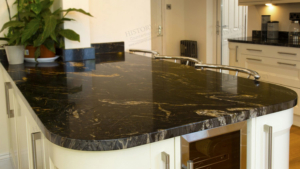 -Is there a more halloween themed granite out there? -This orangey stone makes for a very warm space. -Black with some dimension is a classic look that is also very versatile. -Solid black is a sleek, modern look that can go with anything. It may still be warm, but have you started thinking about the winter months? 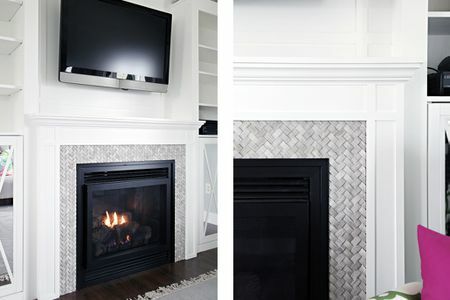 Now is the perfect time to start planning for that fireplace you’ve always wanted to ensure it’s ready for the holidays. 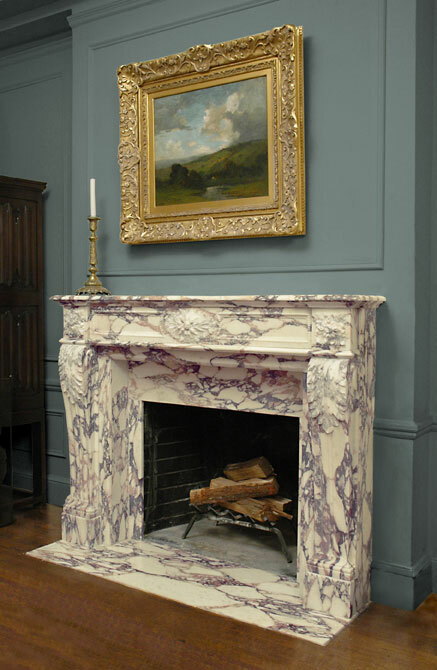 Fireplaces not only add an element of warmth to the home, but they also are a stylistic element. 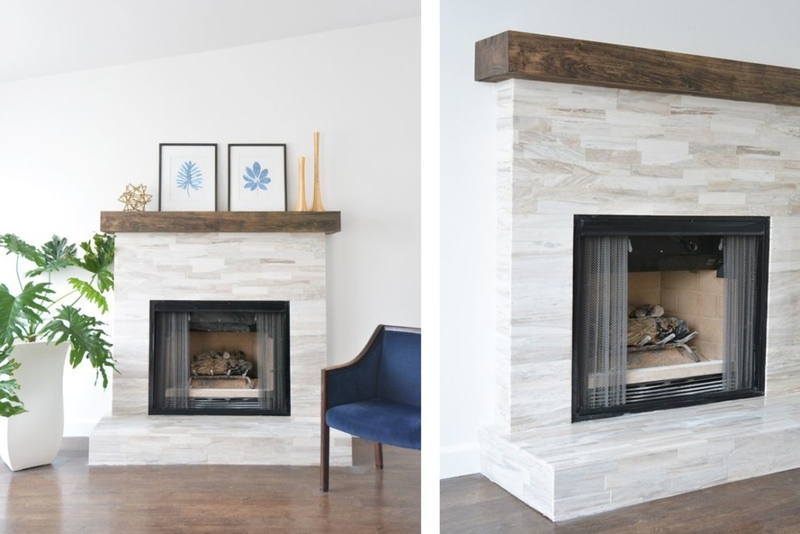 Instead of showing you are favorite fireplace styles, we’ve decided to show you our favorite fireplace locations. 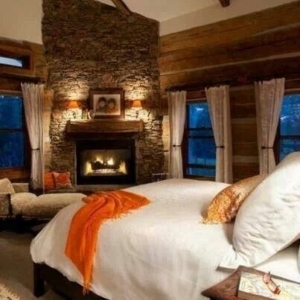 Bedroom: What’s cozier than a fireplace in your bedroom? We promise you’ll never want to leave. Bathroom: You’ll never get out of the shower cold again if you have a fireplace in your bathroom! 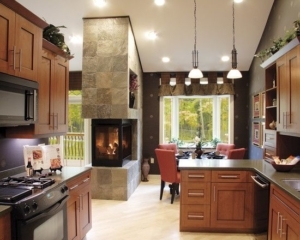 Living Room/ Kitchen: Dual-sided fireplaces are great for spaces that back up to each other, and spread the warmth to more rooms! 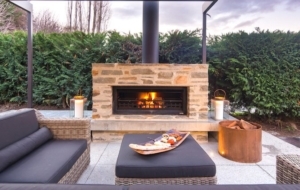 Outside: Enjoy the outdoors all year round with a stunning fireplace like this! 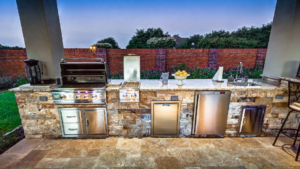 Outdoor kitchens are a great way to entertain guests and be a part of the party, but when considering building an outdoor kitchen, durability should be the utmost concern. Your outdoor kitchen, unless completely enclosed, will be to be able to withstand all of the elements. 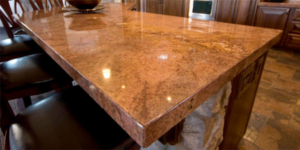 Therefore, manufactured stones may not be the best as they could fade overtime with UV exposure. Additionally, porous stones like marble and limestone are more susceptible to spills and the elements. 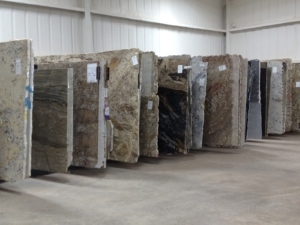 Granite is a popular option due to its durability, but neutral colors are best as dark stones will absorb the UV rays and be extremely hot for use. It will also need to be resealed at some point, depending on the environment. 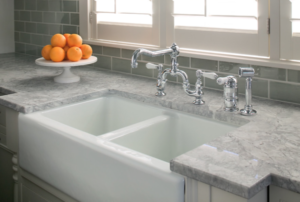 Another durable option is soapstone, which is another durable, non-porous option. Keep in mind, if the space is covered, you will have a greater selection. Nonetheless, an outdoor kitchen is a beautiful way to extend the use of your home. 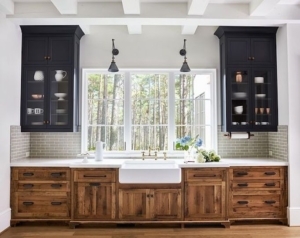 Contrasting cabinets: Nothing makes a statement quite like this new and old look from none other than Newold. Statement islands: Why not continue the mismatch trend with a statement color for your island. We love the painted cabinet trend and think this green is the perfect hue. 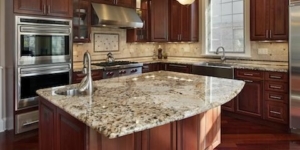 Different stones: Did you notice there are different countertops in the picture below?! This is a trend we love!